Last Monday morning, I woke up with a To-Do list clicking through my brain like a ESPN screen ticker on a college football Saturday. I hadn’t really had a day to myself for two weeks, and there were things that desperately needed to be marked off the list pronto. I showered, got dressed, and put my make-up on and headed to the computer to get in an early morning blog, but by the time I got through re-posting an old blog, I wasn’t feeling so great. It was one of those can’t-pin-point-it but I don’t feel so good feelings. Forgoing the to-do list for a few more hours wouldn’t kill me, so I got back in the bed hoping to cat nap and then feel better. Never happened. In fact, I don’t think I got out of bed that day until sometime around dinner. My general feeling bad went to feeling really bad with fever. Over the course of the next two days my symptoms worsened and multiplied. By Tuesday evening, I was in pretty bad shape: dehydrated, a fever that wouldn’t break, the big “D,” and the feeling of being repeatedly stabbed in the stomach. During those three days, a fear loomed large in my mind. 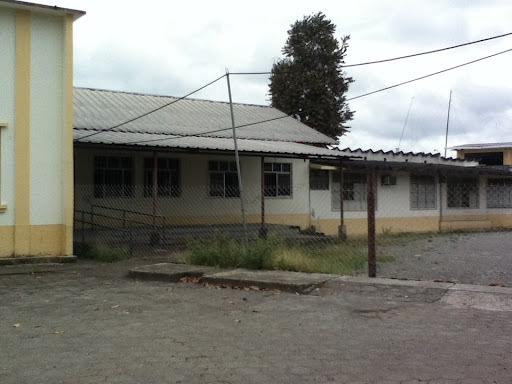 I was getting panicky because I one of my biggest fears since arriving in Ecuador was facing the need for medical care. 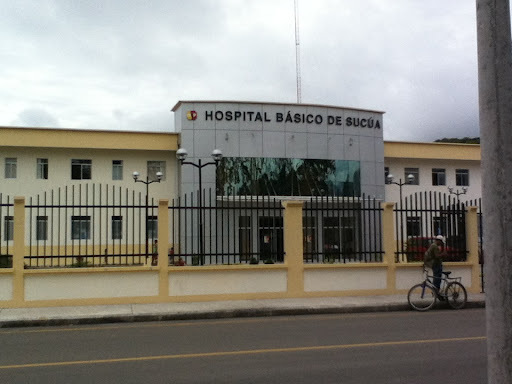 There are some wonderful hospital facilities and doctor’s offices in Ecuador; they’re just no where near us, as in 6-8 hours away. Every time, I walked by it, I silently thanked God that I didn’t need it and that I wouldn’t need it, and please Dear Lord, do not let me have to go there for any health reason whatsoever, please, please, please! 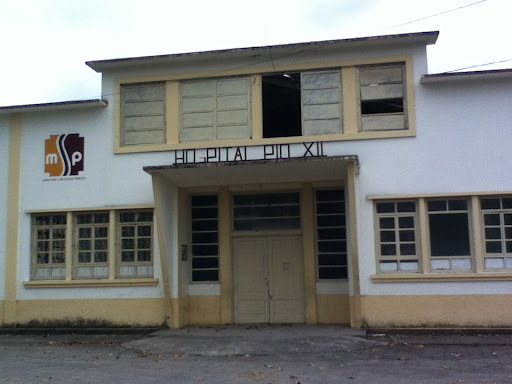 The mere sight of it conjured up images of horror movies with haunted hospitals, unknown illnesses, dilapidated fans, and unsanitary conditions. Needless to say, I’ve been somewhat terrified of becoming sick while here. But God knew my fears and my future when we stepped on Ecuadorian soil and allowed me to not get sick until I could go to the new hospital. It’s only been open about 2 months. The new building alone eased my fears, but I still worried about quality of care and the ability to speak and understand Spanish while sick. Luckily, a missionary friend accompanied us to the ER. The staff saw to me quickly (guess I looked pretty pitiful) and soon I was lying hooked up to an IV of fluids and pain meds. Hallelujah! Now don’t go visualizing the standard ER room in the US ’cause that wasn’t what it was. Think more like a state run facility where each room is capable of handling 3-4 patients with curtains in-between. At some point during the day, I shared the room with an older lady whose grandson spoke endearments to her in hushed tones and a screaming baby needing breathing treatments. My cot was just wide enough to contain my sick body and IV arm. The other arm had to be held up by my hubby. Unfortunately with my type of illness, there are lots of “samples” needed. So within an hour of arriving, Keith and I headed to the community restroom where he dutifully performed things that fall under the “in sickness and health” section of marital vows. My trip back to my luxury curtained suite was a little precarious considering my body decided at that moment it could no longer support itself. It took Keith, the doctor, and two nurses to get me the 50 feet from the bathroom to the bed. Looking back, I wonder why no one suggested a wheelchair. After a full day in the ER, a diagnosis of a severe gastrointestinal infection, and some high powered antibiotics, I returned home. Happy to be on the mend and no longer afraid of visiting the hospital, I crawled back into bed thanking God that he understands even my simplest fears and helps me walk through them even if it is against my will. Still on the mend. Thanks for all your messages and prayers. They have truly been encouraging. This entry was posted in Faith Builders, Missions on July 30, 2012 by aliciachall28. Over 18 years ago, I said "in sickness and in health." …and I meant it. So glad I get to grow old with you. We are a long way from old but it's nice to know we will always take care of each other. Love you! Happy Easter from 3/4 of the Halls.